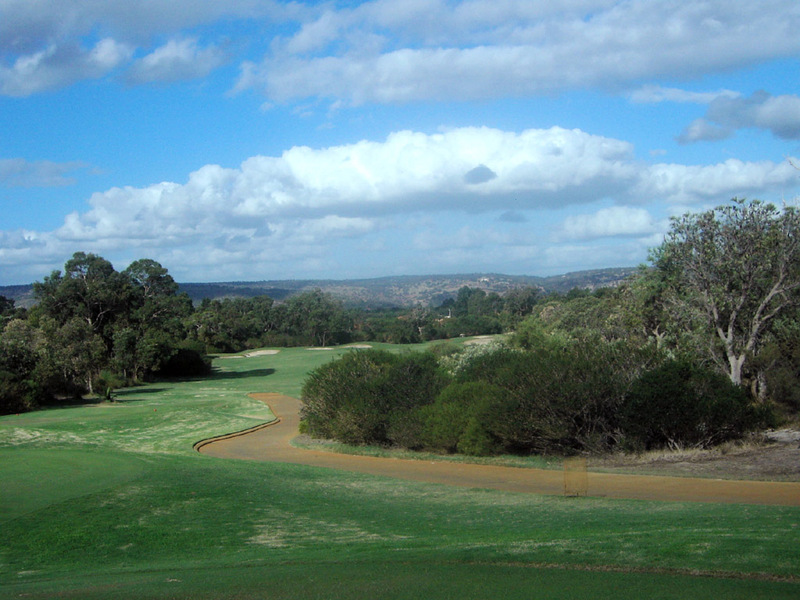 The Vines has 2 courses located in the Swan Valley (famous for its wineries), totaling 36 holes, the Ellenbrook Course and the Lakes Course. 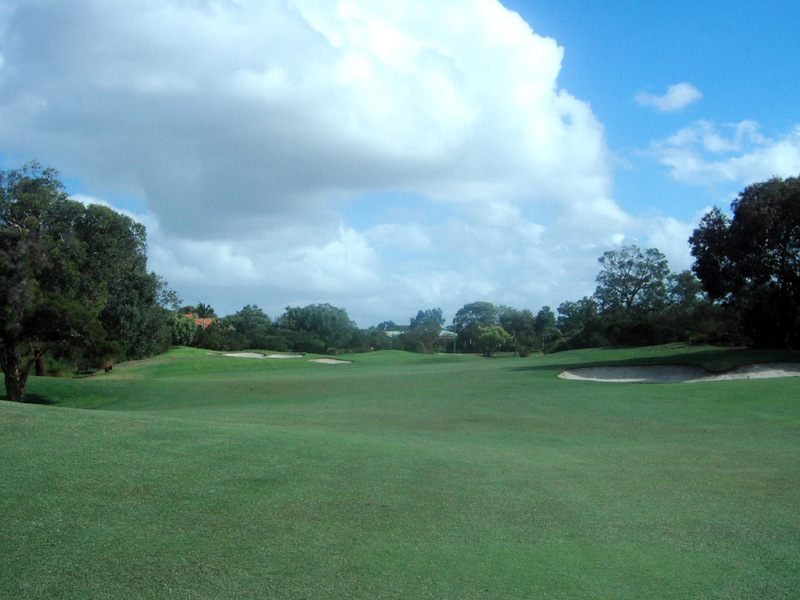 Both courses are quite challenging because errant shots are penalized by trees lining the relatively tight fairways and strategically placed bunkers, grassy hollows & water hazards. 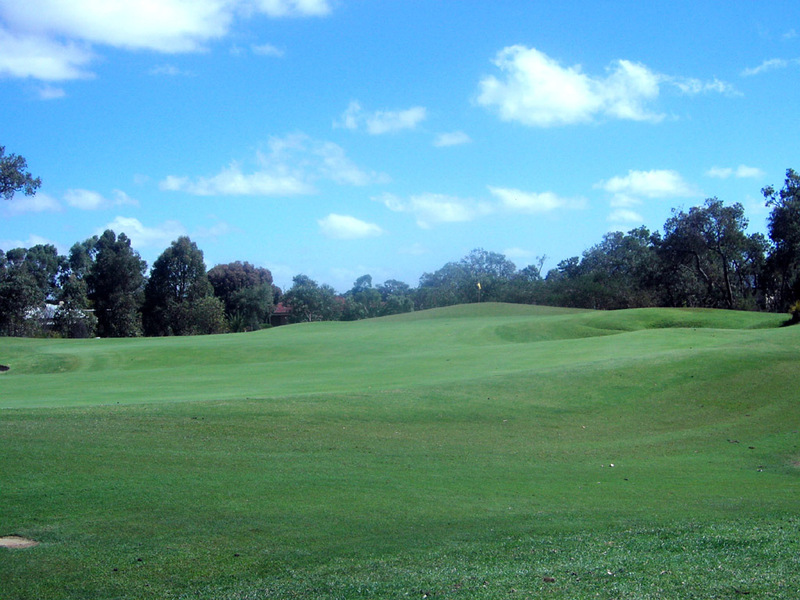 The greens are large and undulating. 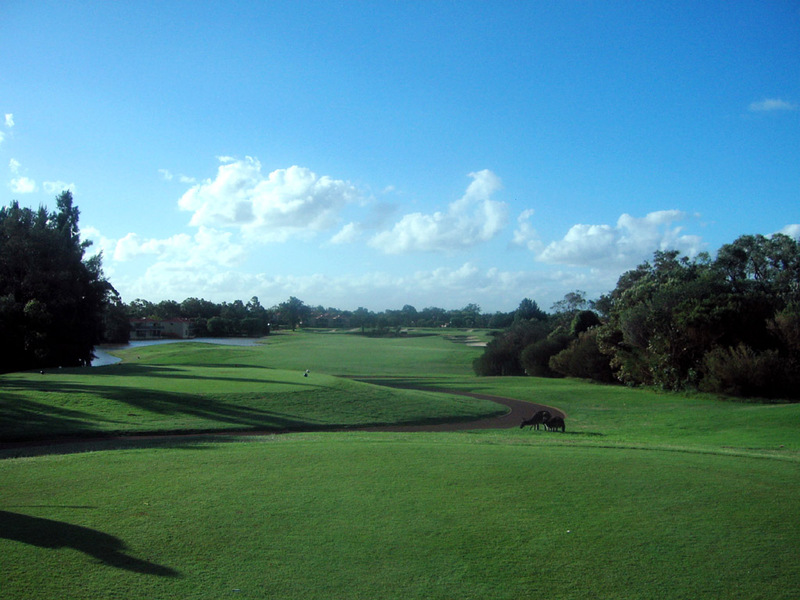 The composite course hosted the Heineken Classic from 1993 to 2003. 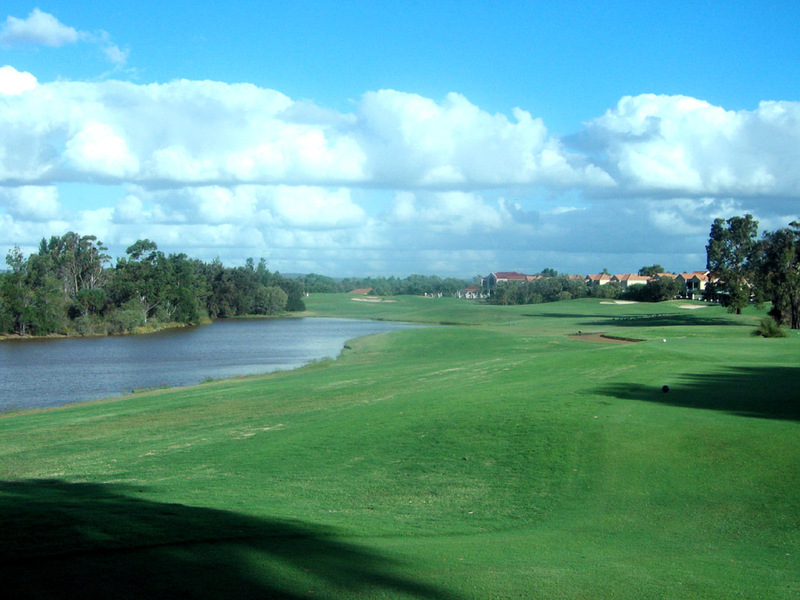 The back 9 holes of Lakes are selected as the composite course. 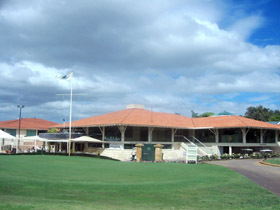 The Lakes Course hosted the 2006 Johnnie Walker Classic. The front 9’s design is just above average while the back 9’s design is excellent. 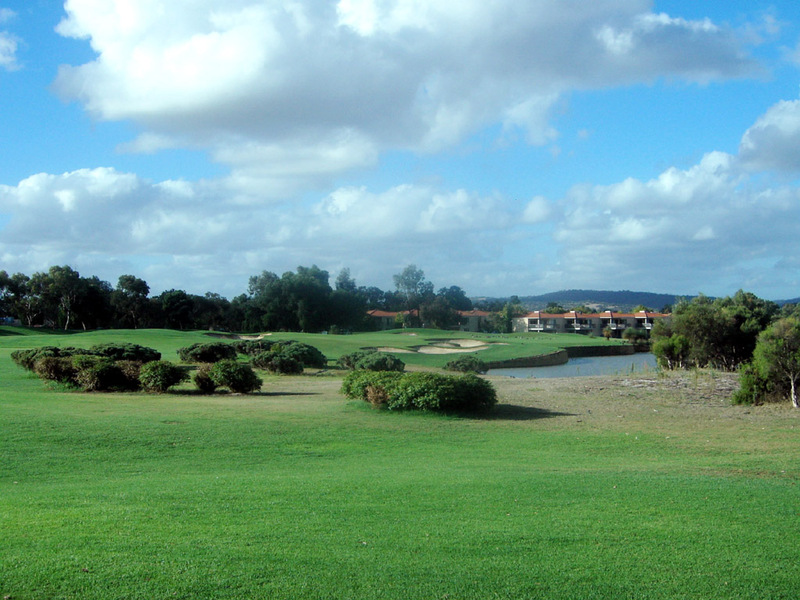 Especially, the last 4 holes, 15th – 18th, are outstanding and very fun to play. A straight hole. 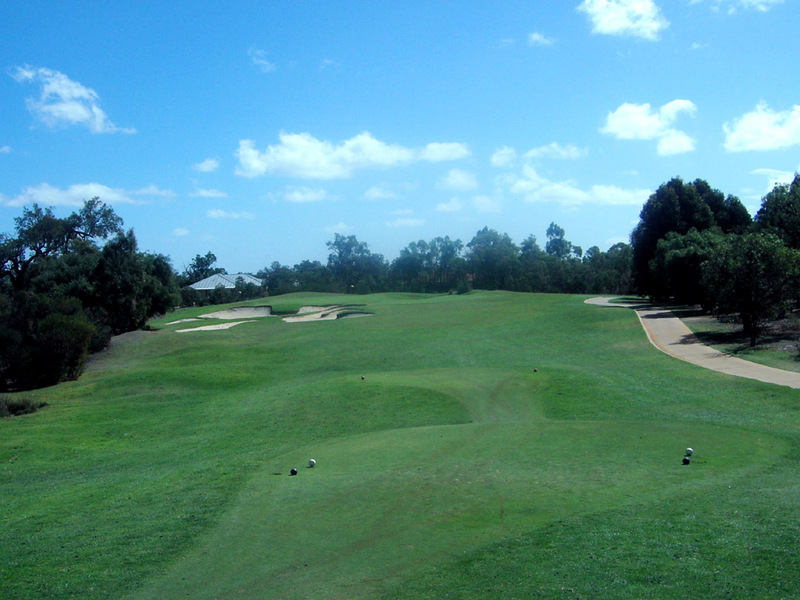 2 bunkers in a depression on the left 230 & 260 yards off the tee and trees on the left make the landing area tight. On the second shot the landing area is squeezed by bunkers on both sides. The third shot is slightly uphill and the green is narrow and 50 yards deep, so to gauge the right yardage to the pin is important on the third shot. A long par 3 over a huge bunker. The green is 55 yards deep and steeply concave in the center with variety of slopes, so it is very important to place the tee shot in the right place. 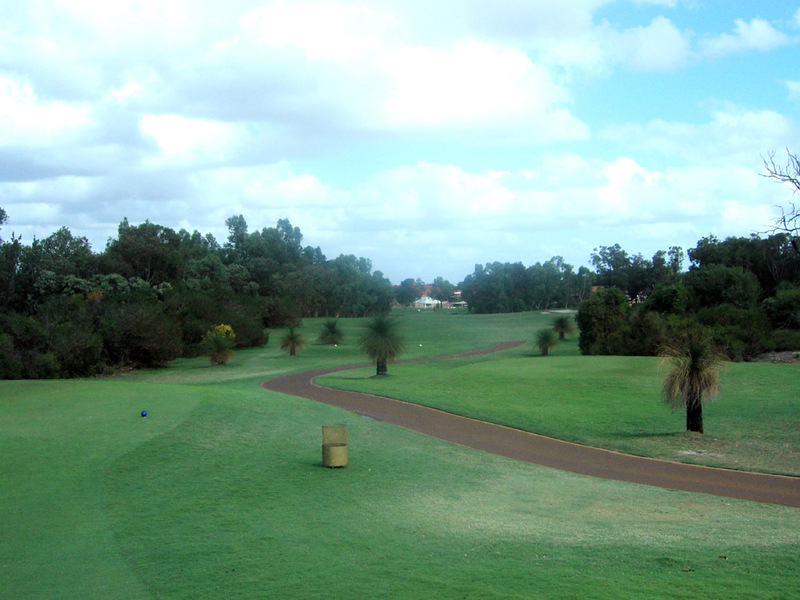 A straight, relatively short par 4. A creek crosses 50 yards in front of the green. The green is wide & shallow and protected by 4 bunkers in a series at the rear and by a bunker and a sharp slope in front, thus the right club selection on the second shot is important. A dogleg to the right. The tee shot is over water. 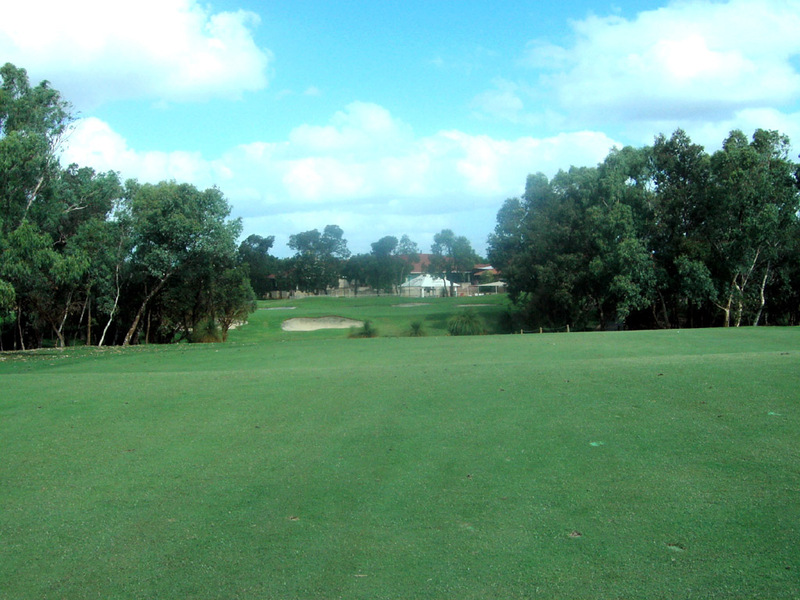 A drive to the left side of the fairway gives the best angle to the green on the second shot. The green is protected by 3 bunkers on the left and a deep swale on the front right. 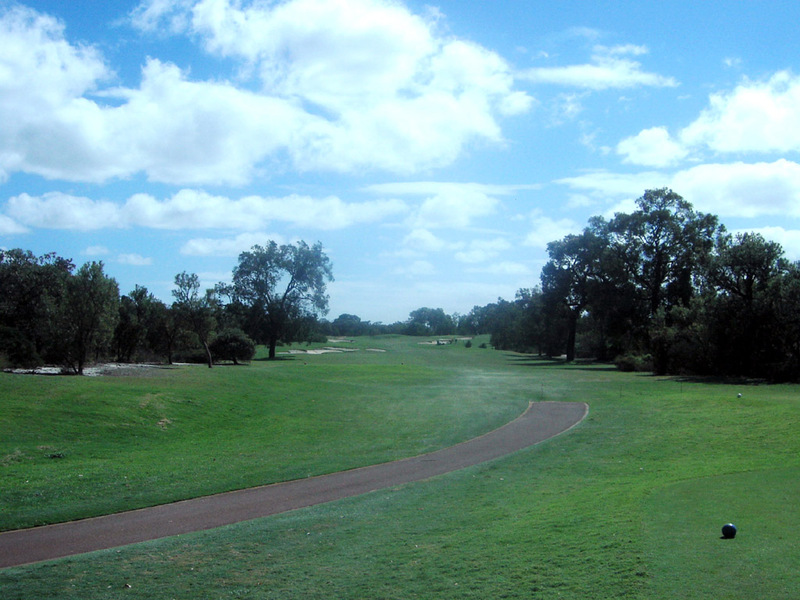 A gentle dogleg to the left, a long par 4. The tee shot is over bush. The fairway bunkers on both sides come into play off the tee. The green is slightly elevated and narrow & a little less than 50 yards deep. A beautiful par 3. 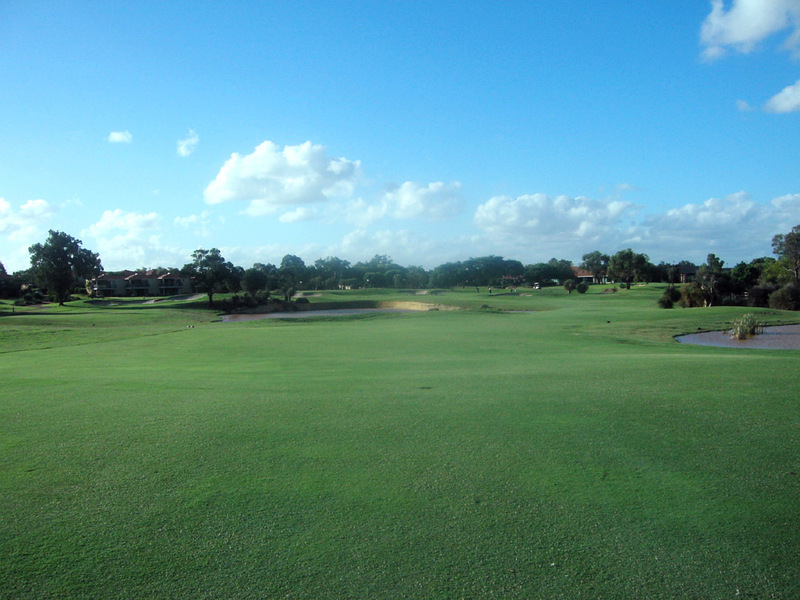 The right side of the green faces water and the green slopes away from the front to the rear right toward the water. Bunkers in front of, on the left of and at the back of the green are in play, too. A dogleg to the left, a demanding hole. 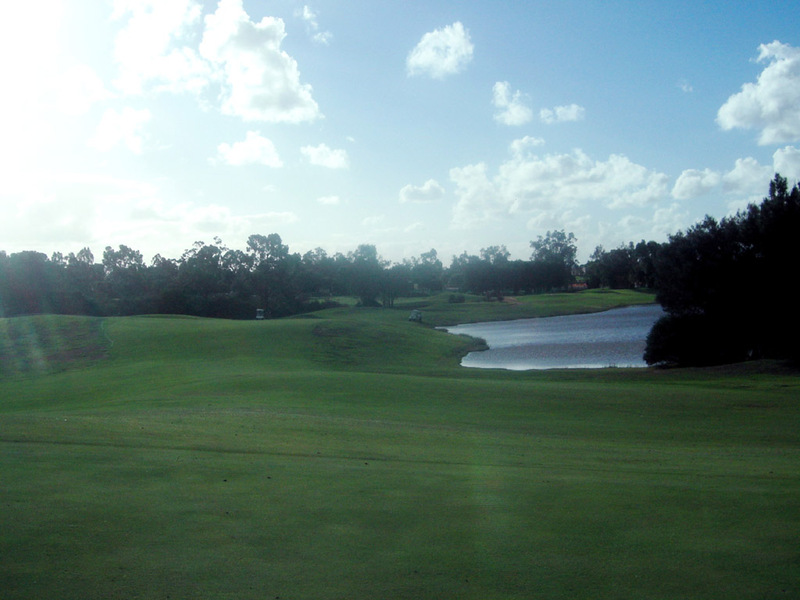 A carry of 300 yards off the tee is needed to clear a lake on the left, which in general is impossible. It is safe to drive down the right side of the fairway avoiding the water on the left but there are 2 bunkers on the right 240 & 260 yards off the tee. 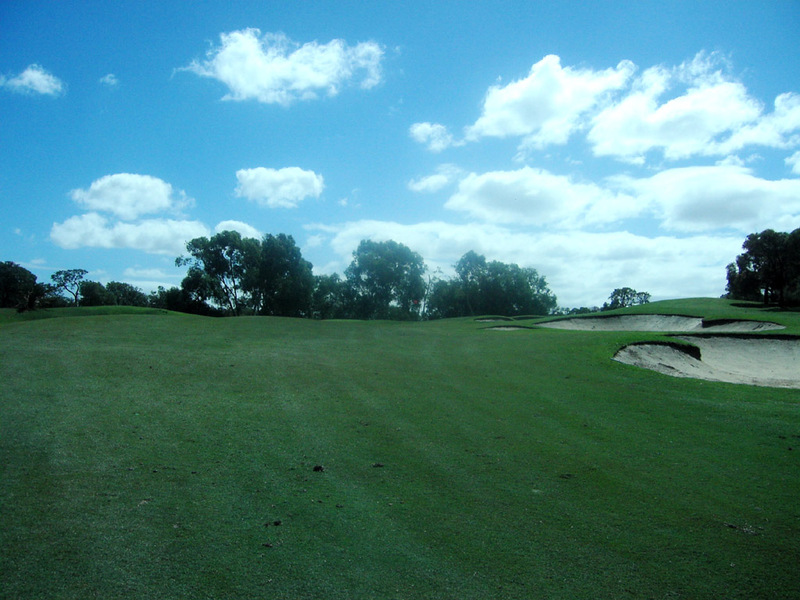 The longer the tee shot, the narrower the fairway becomes. 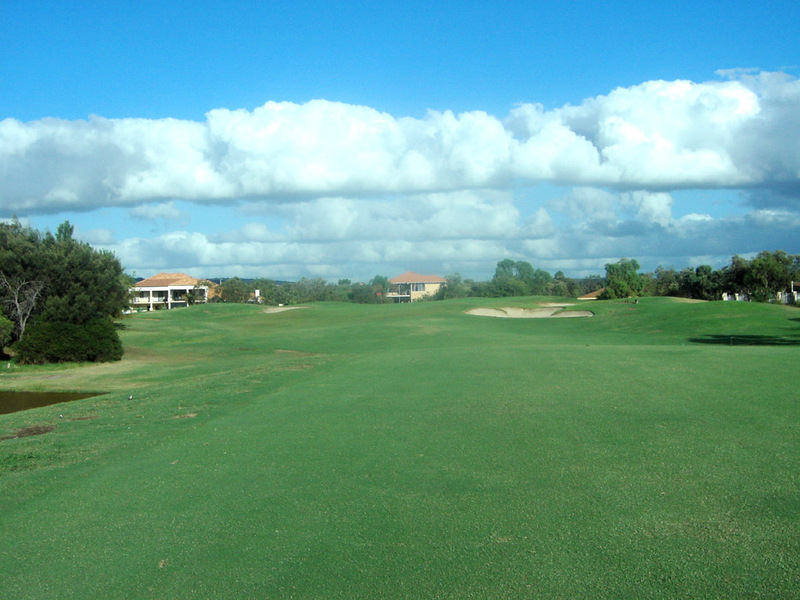 Moreover, driving down the left side of the fairway, which shortens the hole, is very dangerous because the left edge of the fairway slopes sharply to the left toward the water. 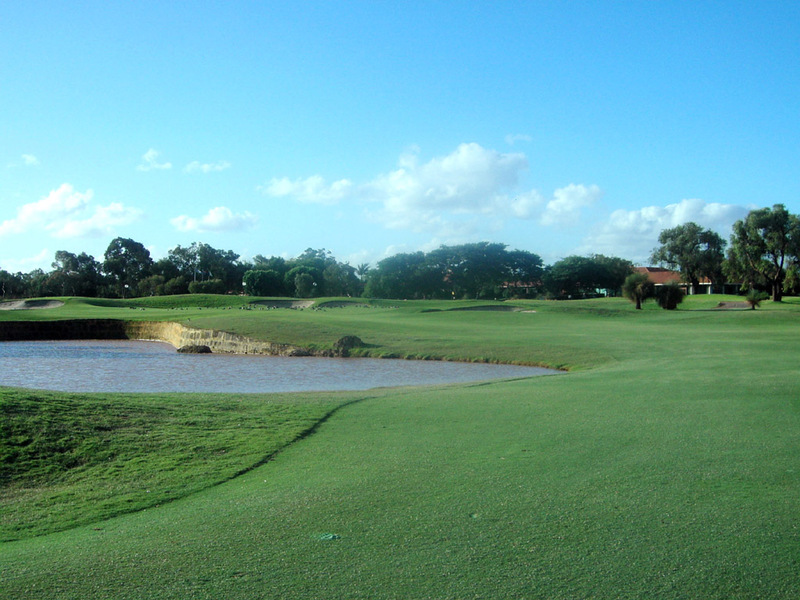 A good drive along the left of the fairway could roll down the slope and end up in the water hazard. The green is elevated and slopes steeply from back to front. A picturesque, straight hole. 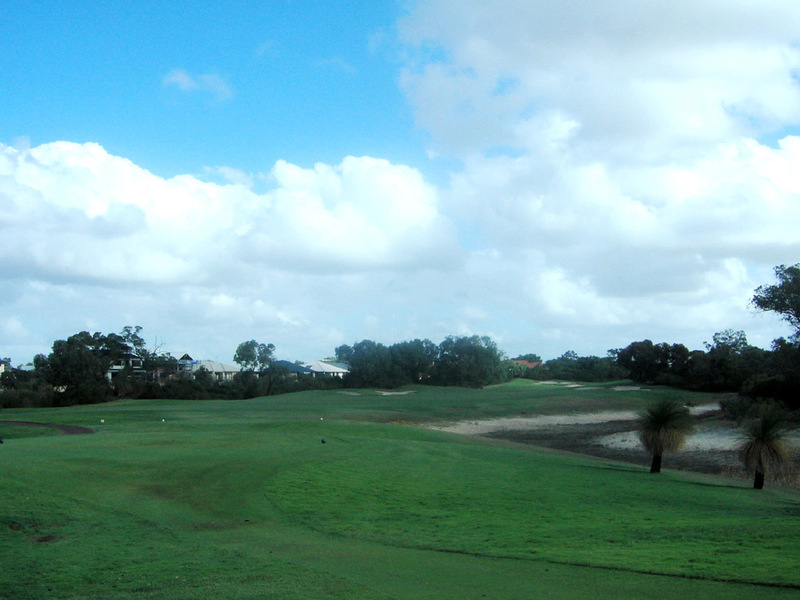 The fairway off the tee is narrow with a lake on the left and 3 bunkers in a row on the right. A long hitter needs to decide whether to aim for the green in 2 or lay up safely, because a lake borders the left front of the green. To lay up has 2 options: onto a wide fairway 140 yards in front of the green where no water is in play or onto a narrow fairway closer to the green squeezed by water hazards on both sides in order to have a better chance for a birdie. The green is large and wide. 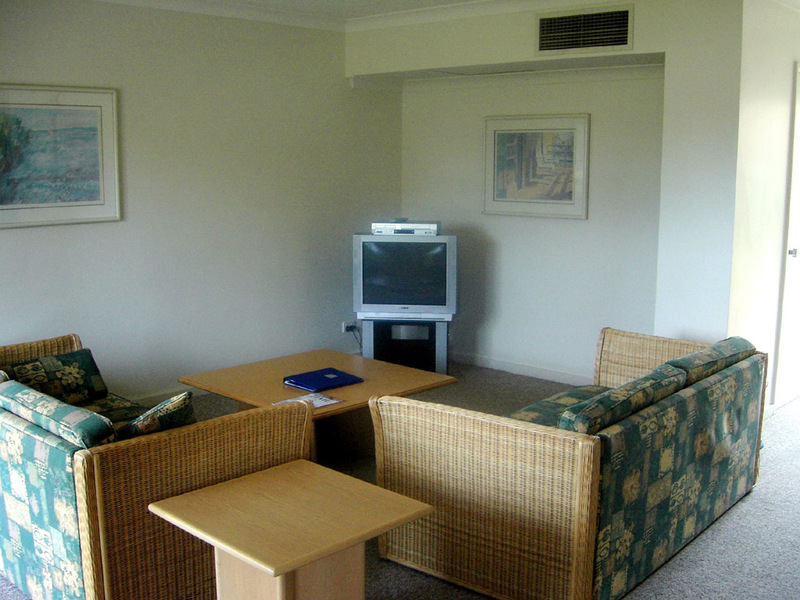 It is a 40-minute drive from Perth and a 20-minute drive from Perth International Airport. Distances are measured in meters. 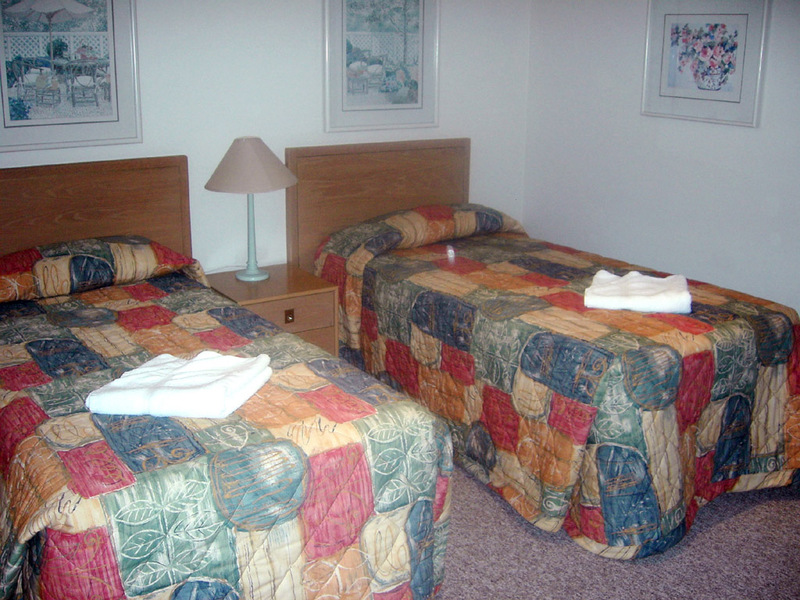 Visitor can book tee times. 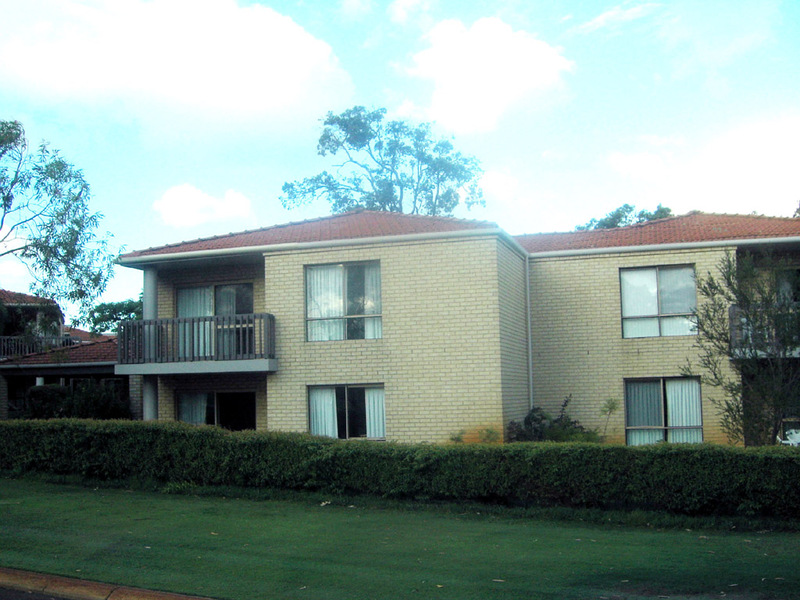 Novotel Vines Resort is adjacent. 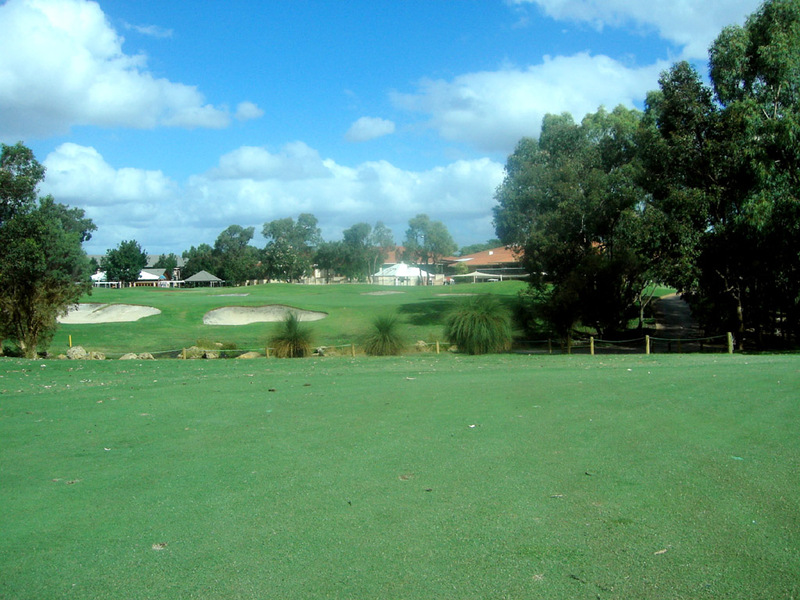 I played 36 holes, the Ellenbrook & Lakes Courses in one day. 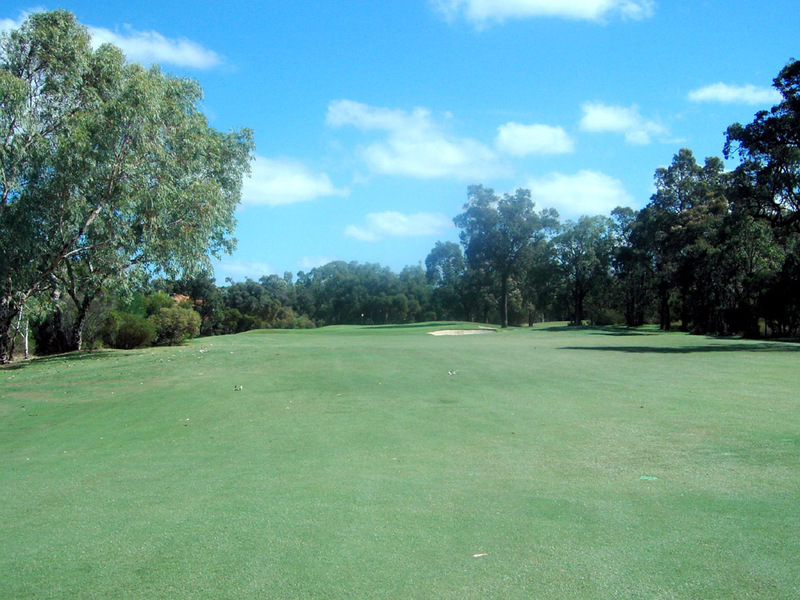 The composite course is ranked 27th in Australia by Golf Digest 2006. The other Graham Marsh and Ross Watson designed courses in Australia are Terry Hills G&CC (30th of the above ranking), Secret Harbour GC (49th only Marsh designed), Horizon GR (63rd), Paradise Palms GC (67th), Indooroopilly GC – West Course (71st only Watson designed), North Lakes (73rd only Marsh designed) and Robina Woods GC (99th). 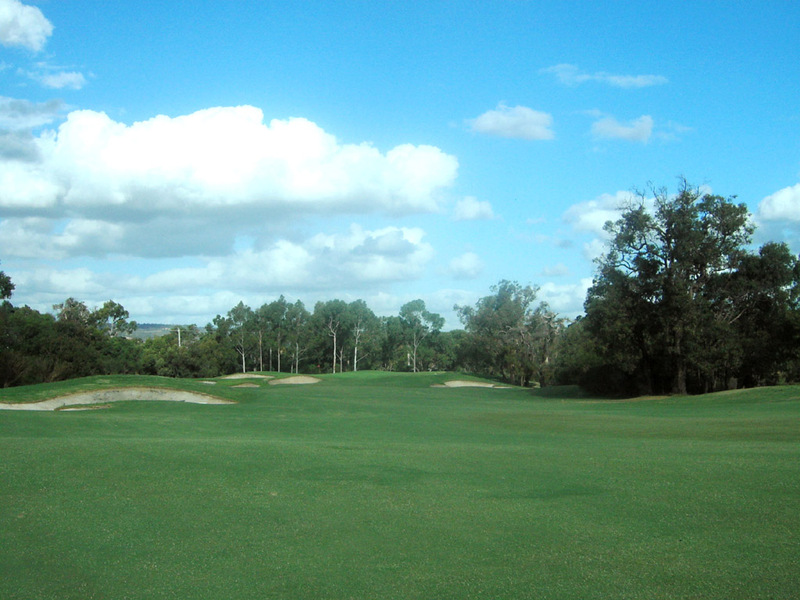 Ross Watson alone designed Magenta Shores GC (27th in 2012), Pacifc Harbour G&CC (56th in 2012) and Indooroopilly GC.